2018 has been a golden year for gamers, big titles like God of War 4, Red Dead Redemption 2, Battlefield 5, Call of Duty Black Ops 4 were released. We are almost at the end of the year 2018, so why don't we look at some top games which were released this year. 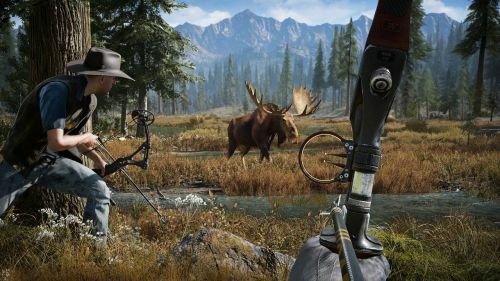 In this article, we cover the top 5 shooter games for PS4 which got released in 2018 and are some of the best games even among their own series. NOTE:- The games mentioned are not exclusive to the PS4 console. 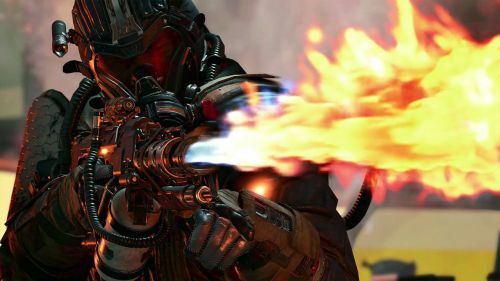 Call of Duty Black Ops 4 is the 4th installment in the series. This time instead of a story mode the devs have decided to compete in the latest genre of gaming, "The Battle Royale Genre". Black Ops 4 provides a fast-paced shooting experience with better physics and user experience. The game has a lot to it, as it has already managed to seek attention of famous streamers like Summit1G, Shroud, Skadoodle and many other well-known streamers. The game has also taken its turn towards the Esports route as there already have been some big tournaments like the " Code Red Tournament", "Doritos Cup". In the year 2043, during a covert mission involving a mercenary group, Jessica Mason-Green (Alexa Kahn), a US Army Specialist is presumably killed while her two squad mates, Donnie "Ruin" Walsh (Christian Rummel) and Erin "Battery" Baker (Morla Gorrondona) escape with critical injuries. Two years later, Savannah Mason-Meyer (Evangeline Lilly), a trillionaire researcher and Jessica's sister, recruits ten of the world's most elite soldiers, including Ruin and Battery, for a top-secret project against an unknown threat. Savannah uses a Combat Immersion program to train the Specialists in a virtual simulation, with Sergeant Frank Woods (James C. Burns) acting as their instructor. Also Read, PS4 vs PS4 Slim: Why You Should Buy PS4 Original? While taking a break from training, Ruin discusses with Battery about their survival two years prior, and that he received a warning message from a mysterious individual. At some point, the individual contacts Ruin at his home, tipping him off to an ambush by mercenaries. Ruin survives the ordeal, and arrives at a warehouse where he confronts the individual, revealed to be Jessica who remained alive and went undercover. It is implied that Savannah intends to eliminate all the Specialists she hired and that she was somehow responsible for the botched mission in 2043. Intel files unlocked from completing Specialist tutorial missions reveal additional stories. Savannah is revealed to be running Project Blackout, an experiment that is implied to be about resurrection of the dead through unknown means. The project was successful in reviving four subjects, referred to as "archetypes": Viktor Reznov, Alex Mason (Sam Worthington), Frank Woods and Raul Menendez (Kamar de los Reyes); the latter is tasked with overseeing the project alongside Savannah. Jessica, who disapproves of Savannah's actions, was revealed to have been actually shot by Savannah during a heated argument between the two sisters. Battery is revealed to have been seeing flashes of numbers, an effect of the brainwashing technique that Alex Mason previously experienced during the Cold War, further hinting that the event of the mission in 2043 may not have been real. Woods, who is involved in a relationship with Savannah, is tasked with brainwashing Mason, using the same technique from before, for an unknown purpose.